Dental implants can permanently repair your smile, and at OSA we appreciate the opportunity to assist you in the replacement of lost teeth. We use the latest technology to assist in treatment planning your implant surgery. We also perform advanced preparatory procedures, such as bone grafting and soft tissue grafting procedures. When it is time to receive your final restoration your dentist will place a life-like crown, bridge, or denture custom made to compliment your smile. Contact our office today to learn more about dental implants and to book an appointment at our Missoula office. Dental implants have revolutionized the way dentists replace missing teeth period. Implants are small, titanium, bio compatible posts that are placed in the jawbone. During a process called ostio-intergation, the bone grows against the surface of the titanium post. Once this occurs the implant becomes a stable fixture in the jaw, onto which your restoring dentist places the final restoration. Implants can support a single crown, a bridge to replace multiple teeth, or even an immediate molar implant. Before receiving dental implants you will undergo a comprehensive examination and consultation. We will use the latest imaging devices to determine the optimal position of your dental implant (s). These devices include the 1-cat 3 dimensional x-ray imaging system, and low radiation panoramic x-rays. This technologies allow for compressive imaging of your jaw bones and their associated structures. After the initial oral and radiographic examinations, Dr. Gama or Dr. Morris will decide if additional procedures are required to prepare the site for implant placement. Specifically it will be determined if there is sufficient bone available in the optimum position for ideal implant placement. If this is not the case, bone grafting procedures or sinus lift surgery can be performed to prepare the site for ideal implant positioning and to provide optimal implant support for a long lasting esthetic result. The actual implant surgery takes place on a separate appointment after the through examination and treatment planning has taken place. Typically, implant surgery is performed under IV sedation. However decisions regarding what type of anesthesia is required is made on a case by case basis. Implants are placed with attention directed at ideal positioning. Post op symptoms are typically minimal after implant surgery, and patents rarely require pain medications for more than a day or two. 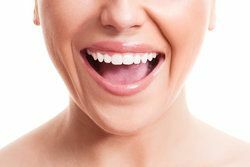 If you are missing teeth and would like to repair your smile with long lasting stable restorations you may be a good candidate for dental implants. Contact OSA today, or ask your general dentist to learn more about the benefits of implants supported restorations and to book your initial consultation appointment.